The Belgian film “Two Days, One Night” (“Duex jours, une nuit”), by Jean –Pierre Dardenne and Luc Dardenne, sets up the nightmare of a corporate management’s pitting employees against one another as individuals in competitions for their jobs. This is something that would not be allowed in a unionized environment, and I would be shocked that this could happen in Europe at all. Sandra Bya (Marion Cottilard) has been on medical leave for, in part for “depression” (which doesn’t get a lot of sympathy, from me, at least, as a reason for medical leave – even though the debate in the US on paid sick leave and even paid family leave is very important). She has two sons and her husband Manu (Fabrizio Rongione) has been supportive. When she tries to return to work, she learns that her boss has determined that the company can do without her, if it demands a small amount of overtime from each of the other 16 employees and offers each a 1,000 euro bonus. The other workers, in a perversion of the “self-managed teams” concept of the modern workplace, get to vote on whether she stays. There was an open vote, but it has been arranged that there can be a secret ballot. Sandra has two days to go door-to-door and pimp her needs to keep her job to get the nine votes. The film certain pays homage to screenwriting precepts: put the heroine in peril, make her become creative, and provide unforeseen obstacles on the way, and a surprise at the end. The concept, however, is rather disgusting. The vote, as it develops, is close and will go to the wire. The responses are varied. Generally the “No’s” are based on “I need the money (for my family)” and “I didn’t create this dilemma, my boss did.” But that is a strategy of psychological warfare, to threaten one person and hold others responsible for the outcome. Terrorists do that. In a salaried workplace, the playout could be different. Typically people don’t get paid overtime. There can develop an unhealthful incentive for an employee with fewer responsibilities (someone who is childless and single) to “lowball” the others (with more debt and less disposable income) when layoffs are threatened by working for less. This undertone used to exist, driving some anti-gay discrimination. When I was laid off, along with thirteen other people, on a Thursday in December, 2001, the remaining people had additional night-call, which didn’t get compensated. One person laid off was actually on the call list that week, so someone else had to go on. I was well taken care of, since I could “retire” and get “bought out”, but this was bad for some younger employees at mid-career. The official site is here (Sundance Selects). The film is in French, rather than Dutch (which would be more common in films from Flanders). I saw the film before a fair early Saturday evening show at the Cinema Arts in Fairfax VA.
Wikipedia attribution link for picture of Liege, by Eric Dodemont, Creative Commons Share-Alike 3.0 license, unported The scenery in the movie made Belgium look more rugged than I expected from a “low country”. I have traveled through it by rail (in 2001). 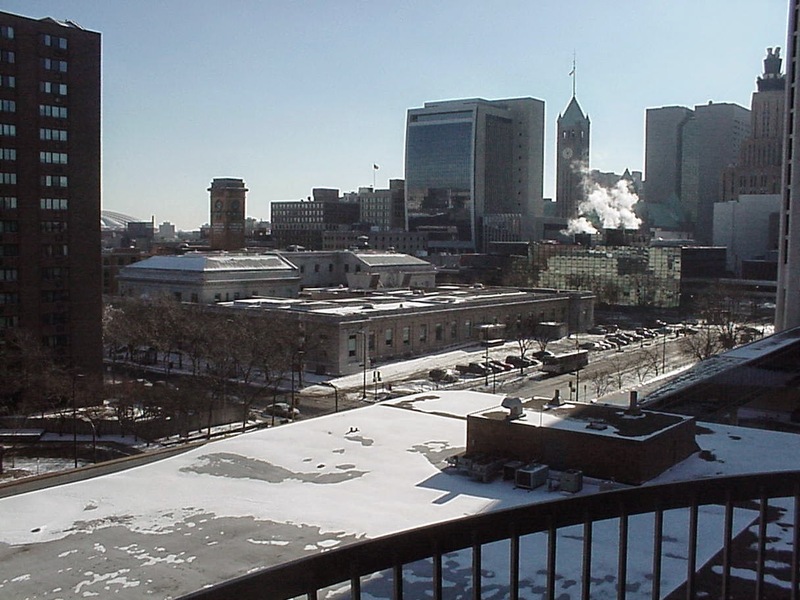 Second picture, near where I worked in Minneapolis when I was laid off (from Churchill Apartments).